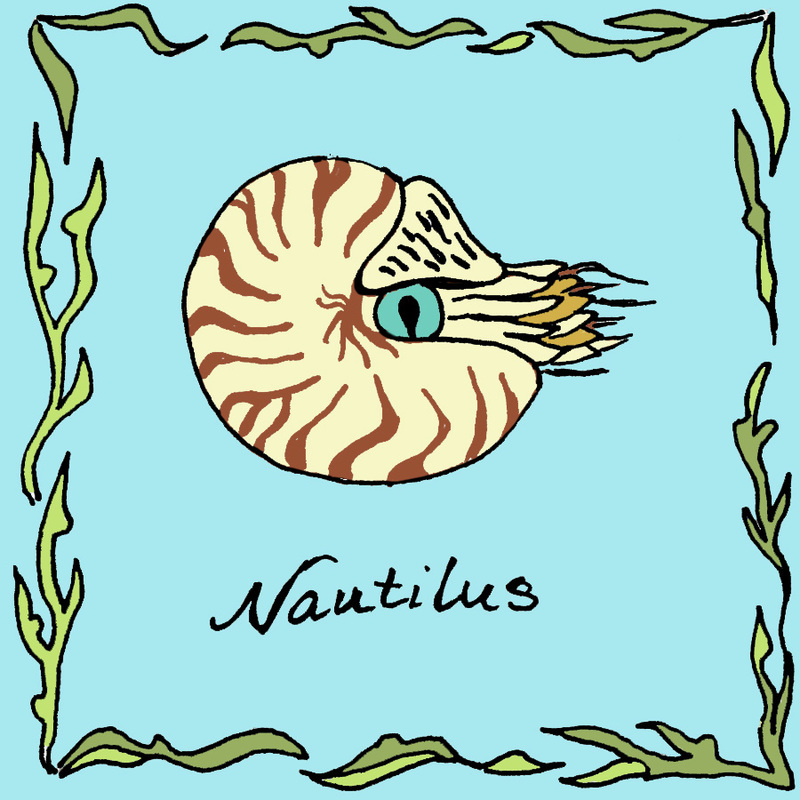 This illustration is of a nautilus, a member of my favorite marine family, the cephalopods (Greek for head plus feet; the family includes octopi, squid, cuttlefish, and the like). 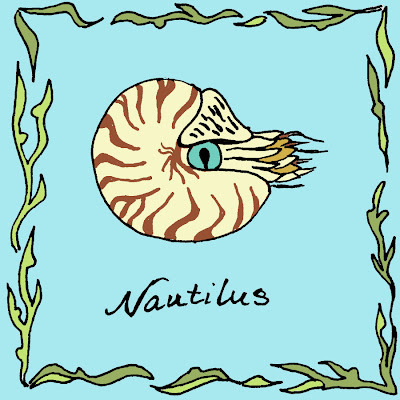 I'm thinking of putting together a fun infographic on cephalopods, so this will be a good way to get started on individuals in the family tree. Artists and scientists have been fascinated by their spiral pattern, which grows in a way similar to the golden spiral or Fibonacci spiral (proportions that are found repeatedly in nature and that are considered to be most pleasing to the human eye). Nice! And I'll be glad to see the rest of the family! Ooh! Nice! I came to see this after admiring today's Steampunk Squid!